Which Telescope for Lunar Observing? 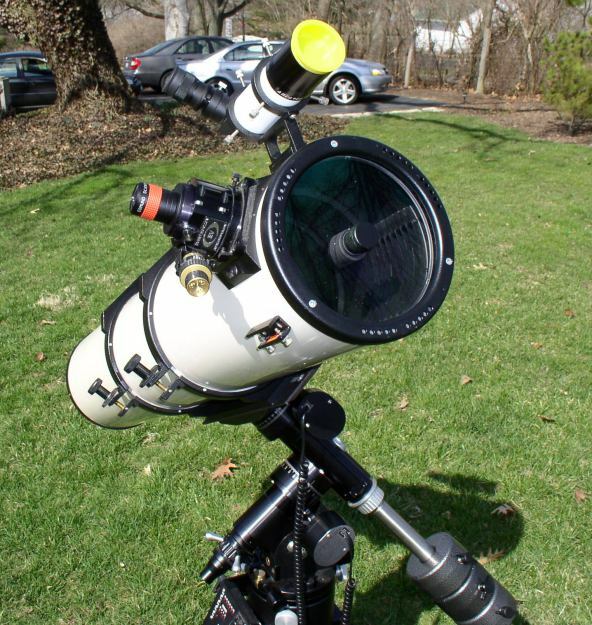 I have a fine 130mm apo, and I am mostly a lunar observer. I now want to go up in aperture. I am considering a 150-160mm app or a Celestron EdgeHD 9.25 SCT. (An EdgeHD 11 might be too big for me to handle comfortably.) I might consider a Takahashi Mewlon (but which one?). Any advice? Edited by Ennis, 01 November 2018 - 04:50 PM. I would only recommend increasing aperture if you are going to go up by about 50% diameter or more. Less than that will be an underwhelming change, especially if the optics on your current scope are good. Increasing from 130mm to 160mm, for example, is simply not that big of a change, especially if you are moving from an unobstructed scope to an obstructed one. A C9.25, however, has a 235mm aperture, so this would be an 81% increase in diameter, which will translate into an 81% increase in resolving power, and a 327% increase in light grab. This is a dramatic difference. My C9.25 Edge was an upgrade over my 4.5 inch reflector, and the C9.25 blows the smaller scope out of the water in every respect. As for the C9.25 versus C11, that depends. In general, you will not notice that much of a difference between the two scopes, so it might make sense to save some money and weight and go for the C9.25. This also leaves open the possibility of upgrading to a C14 or similar sized scope in the future, whereas if you have a C11, it kind of straddles those two aperture classes. The C11 is actually not that much bigger or heavier than the C9.25, but even in excellent seeing, the differences in the capabilities of the two scopes is not that extreme. If I was going to upgrade my scope, I would be looking at a C14 size aperture, which keeps to my rough "50% being worth it" guideline. There are of course other reasons to buy another scope that don't involve increasing aperture, but if we are only talking about wanting to increase resolution on the Moon, these are my thoughts. Just keep in mind that in order to really achieve excellent high magnification views, you have to be blessed with excellent atmospheric conditions. an increase in aperture will give you not only more resolving power on the moon but a bigger exit pupil (brighter image for a given magnification). I suspect you notice a somewhat dimmer image at 200-250x with your current scope, especially in less than quarter phases. A 6" scope will permit a use of 300x before things start really dimming. I'm contemplating a similar scenario now, going from a 128 to a 140or 150mm scope for my next build with the moon as my primary target. Edited by dscarpa, 14 November 2018 - 07:02 PM. My 4"f9 apochromat does an outstanding job on the moon. 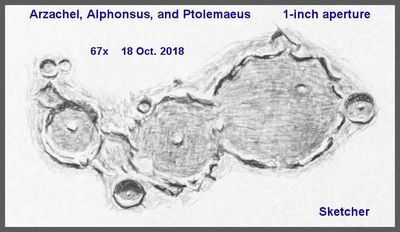 Last summer, I was able to observe several of the small craterlets in Plato during a night of unusually excellent seeing. Just a personal observation but it seems that above 130mm, observing begins to weigh heavily in favor of mirror optics. A well collimated SCT with quality optics is hard to beat for lunar details on nights that the seeing allows. I have no experience with a 9.25 but a C11 is outstanding. For a scope of this size I really want it mounted on a pier in an observatory to eliminate heavy lifting and setup. Edited by Cajundaddy, 20 November 2018 - 01:26 PM. I had a nice achromatic refractor 152mm f8 from Bresser but changed 6 months ago for the Mewlon 250 CRS, based on an EQ6 in an observatory, it's just splendid! I know that the 210 has similar very high quality optics and is not so heavy for your handle wish, so go for the Mewlon 210. Mrwlon 210 would beat those smaller lower res views handedly. The increase in resolving power is too great. Lately I've been using my refractors to do all my moon observations, since they're so easy to set up. I've been using the Edge 11 pretty much only for dark-sky trips to view DSOs. I should try some sessions at home with it for lunar viewing. I own a Mewlon 210. It is one of my favorite lunar telescopes. The views are 3-D, etched, sharp, contrasty, and immersive and show micro detail. The contrast and sharpness in the Mewlon is better than any SCT I have owned or looked through. 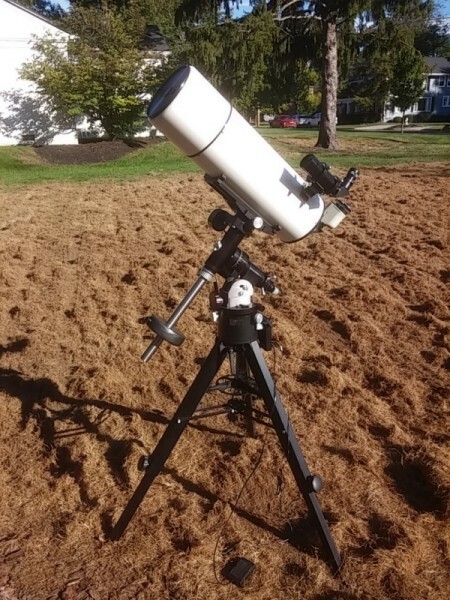 I also own a Tak TSA 120mm Apo Refractor. The TSA 120 has absolutely killer optics but when the seeing allows the Mewlon to take advantage of its aperture (which here in PA is not nearly as much as I would like) the Mewlon will best the TSA 120 on the moon. ANY Cassegrain, Newtonian, Maksutov, etc. will be fussier than a refractor with seeing and cooling. As with any Cassegrain, the Mewlon owner will need to aggressively address collimation, cooling and acclimation to get the best results. How would the Mewlon 210 compare to the (much-costlier) TEC 160FL, with respect to lunar observing? Any idea? I don't own either, but with the TEC 160 you are talking about a scope that costs almost 4x the amount of the Mewlon 210. Would the views of the Moon be 4x better? No, and in fact, if seeing conditions were perfect, the Mewlon would be able to resolve slightly more due to the 31% larger aperture. However, the optical quality and the contrast transfer capability of the TEC160 would be incredible, and if you had that kind of cash lying around ($12,500 US), I'm sure it would be an amazing instrument, although I've never looked through one. However, for an aperture of only 160mm, it is not a very cost effective instrument. For the amount of money spent on a TEC160, you could buy the Mewlon 210 and a TEC 140, and still have money left over for accessories. For moon and planets that makes another important difference ! I owned an Astro-Physics 155 F 7 for 17-years but not at the same time as my Mewlon 210. The Mewlon 210 actually replaced my AP155 when I downsized. First: The amount of fussiness of the Mewlon 210 (and all Cassegrains) depends on where you live. If you live in a southern, very mild climate, acclimation and cooling are minimized. And if you live in an area with above average seeing, you can take advantage of the Melon’s aperture more often. I happen to live in PA so I need to be aggressive with cooling and I only use the Mewlon 210 when the seeing looks to be at least a little above average, otherwise I use my Tak 120. If we are strictly talking about the moon (which is mostly a high contrast object), I think the Mewlon 210 (when acclimated) will, at the least, equal a TEC 160 on detail and maybe deliver just a hair more. On the planets (which are low contrast objects) I would give the TEC 160 the nod. As good as the Mewlon’s contrast and sharpness is, it is not as good as a high-end refractor. The big advantage of the refractor is its ability to deliver the goods in just average seeing or even slightly below average seeing and the stability of the view in falling temperatures. Refractors are just less fussy. That’s why my Mewlon 210 is not my only telescope. With the Mewlon 210, it’s nice to have a high-end refractor on hand for nights when you want to go out but conditions are more challenging. Where the high-end TEC 160 could easily be an only telescope. If you don’t care about fussiness etc. the Mewlon 210 will absolutely deliver the goods and not disappoint. Price and portability also favor the Mewlon 210. If coming on-line quicker and use in somewhat more challenging seeing conditions and the slightly better planetary views you can get (between the two scopes) is a top priority, and price and portability are non issues the TEC 160 would be the choice. Edited by bobhen, 06 December 2018 - 08:03 AM. 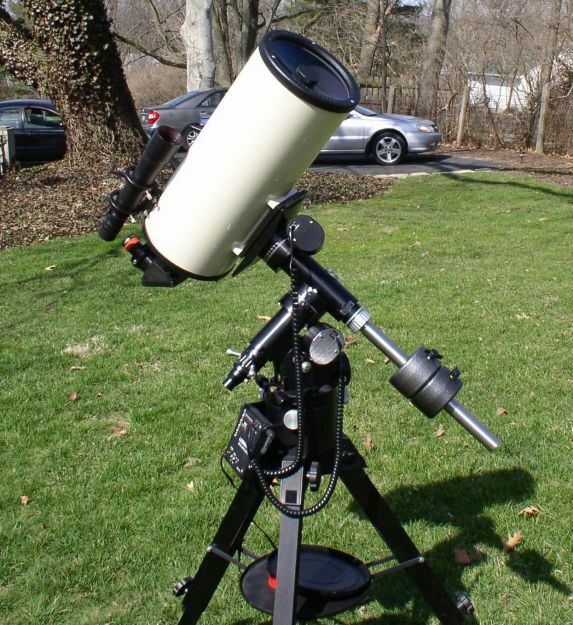 I have a fine 130mm apo, and I am mostly a lunar observer. I now want to go up in aperture. Any advice? Start saving now . . . for the purchase of the 40-inch Yerkes. Meanwhile, continue using your 130mm apo. Unless one spends more time looking at images taken by others, using larger telescopes (in space or on earth) than one spends perusing the moon with one's own equipment, there shouldn't be any need to go up in aperture. Surely very few, if anyone, have ever gotten close to seeing all that a 130mm apo can possibly show on the moon. Therefore, (IMO) the only reason for wanting to see more is the desire for seeing more than someone else has seen -- not seeing more than one already has the capability for seeing -- with what one already has. To be impressed based on what you currently have don't go less than 10" on a reflector and forget the C9.25. There will be higher angular resolving power with the C9.25 no doubt but you lose some contrast in it's massive CO. Itd be an improvement but if I were considering a SCT it'd be a C11 if you want an appreciable jump. Still, Ed Moreno , aka Eddgie wasn't THAT impressed with the C11 compared to his 150mm APO. Again that massive CO.
A ten inch newt F5, use a fan to cool the mirror, collimate well and it'll stomp your APO. When I had a 10 I didnt use a fan and collimation on my part was too casual (no Cheshire). Don't overlook these two things and your 10 inch will outpace the APO on everything except ultra low power widefield. Any 8 inch , unless it's an APO is going to be modest at best. So far, I see a lot of solid advice here, based upon experience. What is your budget? That has a first order affect on your choices, as does the mounting. Around here in SW Ohio, an 8" aperture is a very usable size for lunar/planetary viewing. Which typically means an SCT or newt. My problem with most SCT's is finding a sample with excellent and smooth optics. So far, I've found only two, my friend's humble C8 and my plain C11. Both give excellent lunar views but I find myself tweaking focus a fair amount because of the large central obstruction and there seems to me to be a certain residual instability to the image, especially with border line seeing conditions, which I lay at the feet of thermals and large obstruction. I am fortunate to have a permanently mounted TEC 200ED, which suits my needs perfectly. Having said that, I'm continually impressed with the lunar performance of my TEC7 Mak. The optics are superb...period. The central obstruction is "small" at ~25% of the aperture and the F15 focal ratio gives an excellent image scale...no barlow needed around here. The images have that abrupt, etched like quality I've found in very high quality optics. It is thermally well behaved for a larger Mak too. My Intes 7" F15 mak was excellent as well. So, I can certainly recommend from my own experience something like that as it is a significant step up in resolving power over a 5" APO but also light in weight. Even a TEC8 mak might suit you too. Both can be found on the used market but you will have hunt them down. A used TEC 7 will be in the $3500 range and the TEC 8 in the .....well, considerably more. The intes M715 fetches $1200 to $1500, which is certainly cheaper but they are a bit heavier with a lower build quality (though I find the focusing mechanics clever and well done). Then there is something out of left field like an Intes MN76 mak-newt. Simply wonderful scopes for lunar/planetary work. But bigger, but with a 20% central obstruction, but no diffraction spikes from a spider. My choice for Lunar is the 12.5" Obsession on a tracking platform, very precisely collimated and using as high power as seeing allows. All that, plus the Paracor, never ceases to amaze me.